Support your local businesses this Holiday Season! Small Business Saturday is this weekend and is your chance to support the local shops and retailers that make your community unique. So, once you’ve finished with the food and family time, and after the craziness that is Black Friday, take some time to visit your local businesses for a more relaxed and community focused shopping trip. So, I love drinking at my local taproom, and visiting the small businesses in my area, but how much of a difference does it really make? We’re going to start this answer from the perspective of a craft brewery (shocking, I know) which according to the Brewer’s Association are both small and independent. In looking back on 2015, while the overall beer market was “meh” (down slightly by 0.02%), craft brewery sales were up by 12.8%. Also, it is now estimated that the majority of Americans live within 10 miles of a craft brewery, making them a great local choice for people to support. Broadening our scope, we look to the Small Business Association who typically defines a small business as being a business of less than 500 employees. According to the 2010 census, there were approximately 27.9 million small businesses registered in the United States, compared to the more than 18,000 companies with 500 employees or more (i.e., 99.7 percent of U.S. employers were small businesses). That equates to jobs for about 56 million people, or roughly 57 percent of the private sector employees in the nation. Lastly, not only do small businesses employ people from their surrounding area, but they also contribute to the local tax base through sales and other taxes. They also make many of their purchases from other local businesses. Therefore, when you make a purchase from a local independent business, 3 times more money from that purchase goes back into the local economy than the same purchase at a chain store, and as much as 50 times more than if the money was spent at a big box retailer. So, while we know not every purchase can be made at a small business (hey, we shop at the big box stores too!) when you get the opportunity, make the choice to support your local businesses. To celebrate the addition of Wednesday night to our regular taproom times (and the addition of 10pm growler sales), we are giving away (well, Thom is… somewhat begrudgingly) our very last grumbler of the Coconut Chocolate Stout! Stop in for a beer, enter your name in the drawing, and hang out with us until we pull the name at 8pm. You must be present to win. Tap selection for this weekend includes Pyro American Pale Ale, Roasted Coffee Ale, Fused Orange Blossom Honey Ale, Cranberry Shandy, Raj-Agni India Pale Ale, Grapefruit IPA on Wednesday and Dark Lager on Friday. This Friday (11/25) we are joined by Soup Coupe and their hearty and warm soup and chili selections. On Saturday (11/26) Crazy Puppy will be here with their delicious fair food options including beer battered onion rings and beer battered green beans made using Pyro. As always, all food served at the taproom is gluten-free!
! Starting this Friday, and running through December 21st, bring in and donate a new, unwrapped toy and we’ll give you a $1 off your next pint. 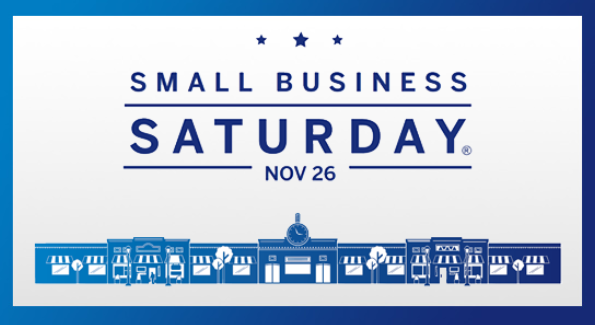 Celebrate Small Business Saturday with us! This Saturday, November 26th with each merchandise or gift card purchase of $25 or larger, get a free pint in the taproom. Get that beer lover something they will truly cherish and have a pint on us! Growler sales are now available until 10pm all of the nights we are open (except Sunday which is still 6pm).